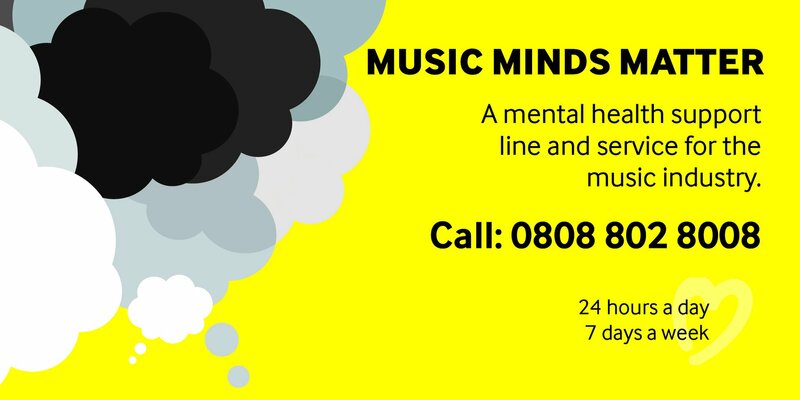 Help Musicians UK (HMUK), a charity for professional musicians, has launched a 24/7 helpline to support musicians mental health. Music Minds Matter, is free and offers services such as emotional support, advice in getting a diagnosis, Cognitive Behavioral Therapy (CBT) and counseling among others. Can music make you sick? A study about working in the music industry, commissioned by HMUK found that the creative industry can be responsible for adding to mental health issues. This goes beyond depression and suicide. Addiction and eating disorders are also prevalent in the music industry. A separate study indicates that 1 in 3 professional musicians have suffered from an eating disorder. And with the growing number of sexual assault accusations in the entertainment industry, it may come as a relief that there are support services for sexual harassment victims within the profession. “With 96 years of experience, we understand the complexity of being a musician and recognise the need for support that reflects the nature of the business, whilst providing a personalised service tailored to each person we help.” says Help Musicians UK CEO, Richard Robinson. The charity has earmarked just under £1 million for the next four years, with hopes that the service will grow and evolve.